Ensure you’re choosing the best service option for your Honda with Lube Mobile. Not only do we provide a range of top quality Honda Service options, we also offer you the flexibility of having your next Honda Car Service performed wherever you like at a place that suits you - not the workshop 40 mins away. 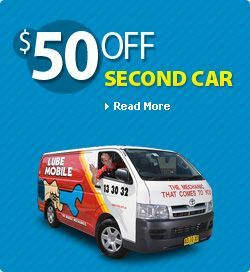 Lube Mobile’s fleet of mobile mechanics can travel to your place of work, your house, your holiday destination or even your mother-in-law’s to perform your next vehicle service. Relax and stay there - dont drive around all day fitting into others' schedules. Is your new Honda due for a Log-Book Service? You don’t need to take the car into the Honda Service Centre because our mechanic will come to you instead. Our fully qualified mechanics arrive at your chosen destination with a mobile workshop. We can perform standard Log-Book Servicing across a range of Honda models like the CR-V, the Accord and the Civic. Ensuring your manufacturer’s statutory warranty remains unaffected, we use only the best quality fluids, oils, as well as parts that meet Honda speciafication or better, across all of our Honda services. Our breadth and depth of technical ability and experience come from our people. Lube Mobile have the in house skills and experience gathered over 30 years to tackle any service or repair issue your Honda may have. We send the right person to do the job - Experience counts. Choose from a range of comprehensive fixed price service options catered to your Honda’s model and year. 3 in 1 Fuel Injection Service – maintain your engines fuel efficiency and remove carbon from injectors and valves. Knowing what you’re paying for ahead of time ensures you remain on top of your vehicle and running costs. Our mechanics will explain your service and any additional work required or recommended to keep you Honda top working order before they commence work. Dont forget we also carry out repairs on your Honda ranging from Car Battery, Brakes, Radiators, Alternators and Starter Motors. You can be sure that your next car service will be completed on time and at the right price. There is simply no better way. 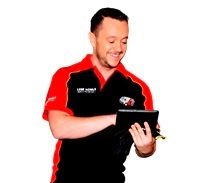 Call our friendly team today on 13 30 32 or jump onto our online booking tool available 24/7 or get a service quote here. With your Honda’s year and model we can recommend a fixed price service option, select a time book your mechanic and have you back on the road in next to no time. Honda Service and Repair Reviews.. I was really impressed with Adrian the mechanic. In the past I have always serviced at a dealership but never again - it was great to speak to the mechanic directly doing the service. I will definitely book again. Thank you! Before receiving this survey/questionnaire I sent an email from your Lube Mobile contact web page regarding my mechanic named Kierman to commend him and Lube Mobile. I would just like to reiterate that I think engaging a mobile mechanic was so much less stressful than going to a garage! Also the work was urgent and I was grateful that it was attended to so quickly. I had Stan as my mechanic and he was fantastic explained everything to me and was very patient and professional. Would definitely use Lube Mobile again for future services. I booked online on Sunday night and got contacted by Stan early the next morning. Great service. Thank you. I was very impressed by the service and appreciative of the service and working around me being at work. Also the mechanic's advice around what my car needs most importantly first as I was on a tight budget at the time. He went above and beyond the service - I am truly thankful.